The MagnetoSpeed T1000 Target Hit Indicator takes the second guessing away from seeing impacts on reactive targets by providing positive feedback when visual and audible indicators are difficult to identify due to range, weather conditions or small calibre. 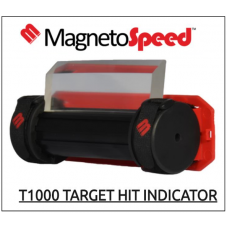 The MagnetoSpeed T1000 Target Hit Indicator is a rugged weatherproof self contained unit with long battery life. Designed to be mounted to the back side of Bisalloy 500 steel targets with a minimum length of 26cm, the main unit is protected behind steel with only the reflector protruding. 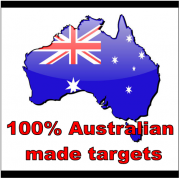 Target preparation and mounting the T1000 is quick and simple as it utilises industrial Velcro tape making it easily transferable to multiple targets. While mounted, it is in an always-on state waiting for the next shot. 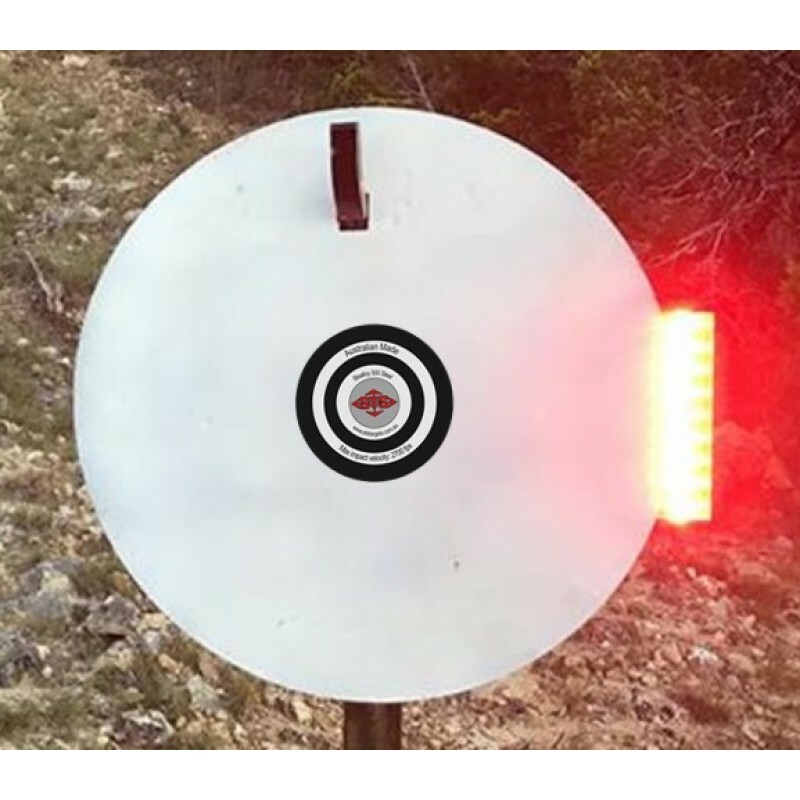 The MagnetoSpeed T1000 Target Hit Indicator features a flexible rubber reflector designed to withstand multiple impacts before needing to be replaced. The T1000 illuminates bright red to indicate a target hit and flashes orange to show a miss, but also has multiple operating modes to best suit your shooting situation.